Hotel Roma is a family-run recently refurbished hotel situated in Malta's popular prime resort of Sliema, enjoying spectacular views of the Mediterranean coastline. 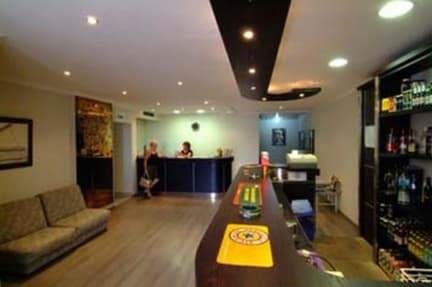 Apart from its prime seafront location within walking distance of the fashionable Sliema shopping centre, this value-for-money hotel is surrounded by shops, cafs, bars, restaurants & is just across the road from a rocky public beach. 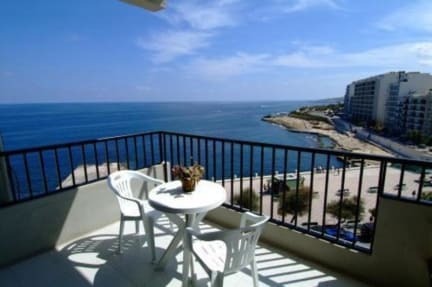 This 3 star hotel has 40 rooms, a number of which overlook the promenade & enjoy beautiful sea views. All rooms have a private bathroom, hairdryer, satellite television, radio, mini-bar, direct dial telephone, tea/coffee making facility & private safe. The hotel has also got a new lobby bar! If you would like to stay more on the check out day or as well leave your luggage, please advice previously. Very nice hotel for the offered price. The location is perfect (the hotel is situated on the seaside, there are also some bus stops around) and the staff is very pleasant. Wi-fi is in the lobby area only, which wasn't a big problem for us. You'll find an electric kettle and a blow dryer in the room. The only minus is probably that temperature in rooms was smaller than outside, so we had to sleep under two woolen blankets (we found them in the closet).